With the first KNPP unit already missing several deadlines, Indian Government says it will be commissioned by May. The Indian Government has given its approval to build two additional 1000 mw units at the Kudankulam Nuclear Power Plant (KNPP), PTI reported on Wednesday. The government’s Cabinet Committee on Security, at a meeting chaired by Prime Minister Manmohan Singh, gave an approval to the proposal to grant administrative and financial sanction for building units, according to the news agency. The projects would cost about $3.7 million per megawatt, sources told the news agency in the report carried by The Hindu. A new general framework agreement can be signed between India’s Nuclear Power Corporation of India Limited (NPCIL) and Russian suppliers of nuclear equipment, the report added. The commissioning of the first unit of the KNPP would be delayed to May, the government of India said in a press release on Wednesday. This is the latest in a series of delays for the first unit. Russian sources had maintained as early as November 2012 that the unit was ready, but several tests have been conducted since then to check it preparedness. NPCIL engineers have been carrying out a series of integration tests in the presence of a team from the Atomic Energy Regulatory Board, which has been at the project site for almost 2 months. 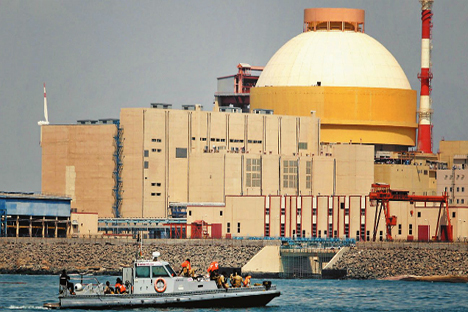 The Kudankulam units comprise of 1,000 MW reactors of the VVER-1000 model being constructed by NPCIL and Russia’s Atomstroyexport company, a Rosatom subsidiary. The construction of the first two units of the power plant was halted in September 2011 over protests by local residents who demanded the scrapping of the Indo-Russian project citing the Fukushima nuclear disaster in Japan. Protesters had blocked all roads to the plant and would not allow the workers to enter. The work resumed in March 2012.